This is Paul’s great nephew Lane. 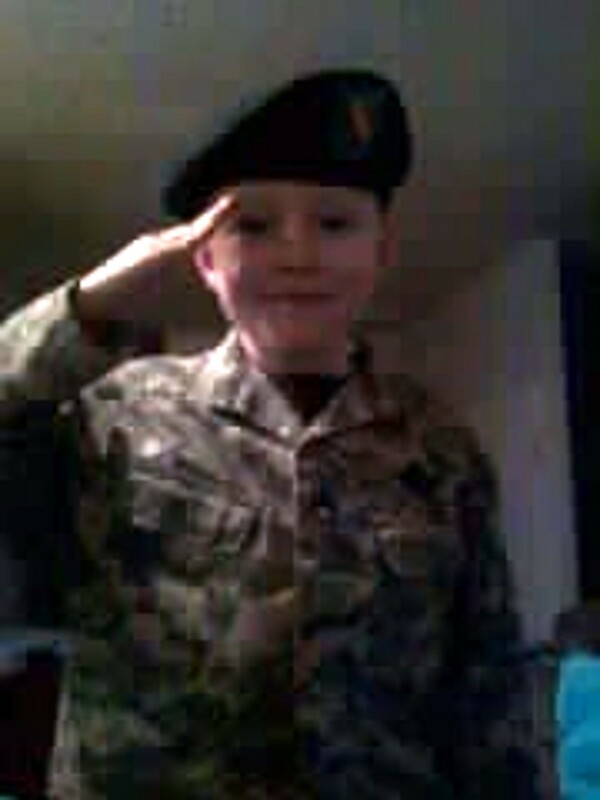 He was preparing to march in a Memorial Day Parade. Good looking Trooper and a good looking salute. Leslie Jones with Paul’s great neice and Nephew. 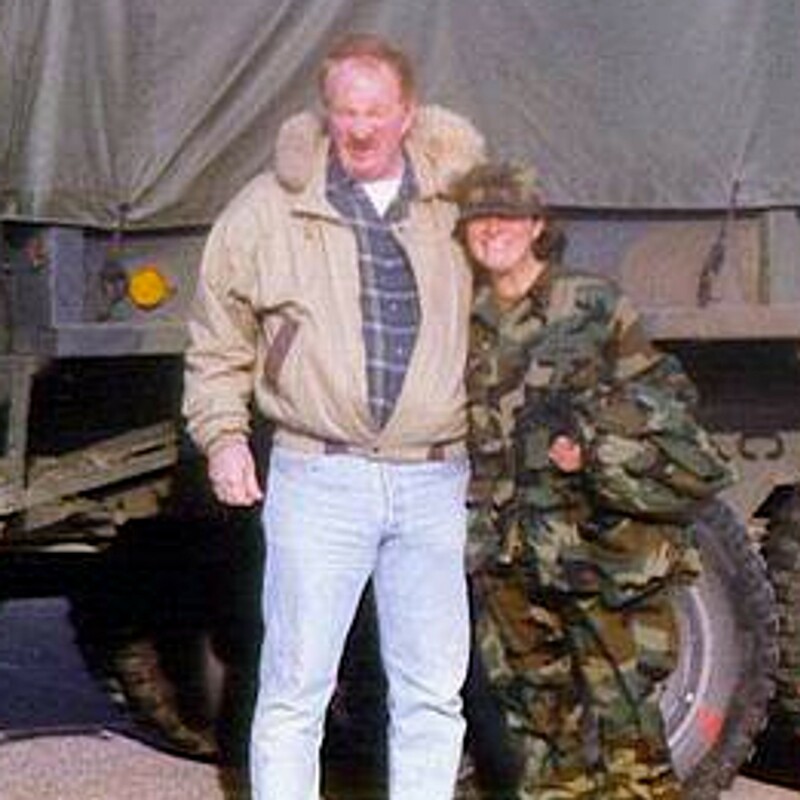 Leslie joined the Army to following in Paul’s and John’s footsteps. 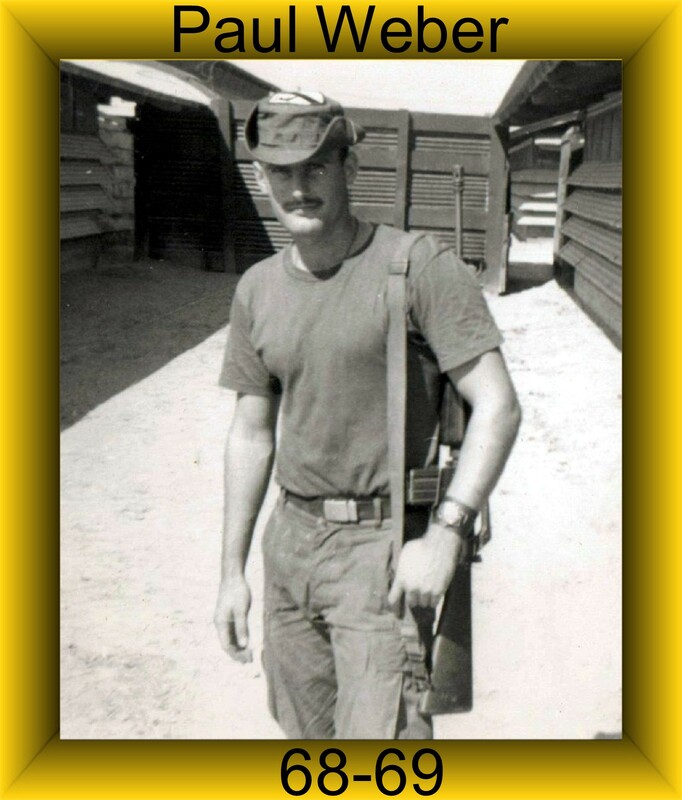 Paul was assigned to Charlie Troop on October 4, 1968 and was Killed in Action on June 2, 1969. Paul was assigned as an observer/crew chief on an OH-6 Observation Helicopter in the White Platoon. Paul was Killed in Action when the helicopter he was in with SP/4 Warren Brown and 1lt Donald Porter was shot down while performing observation duties for another unit. See Porter for details. 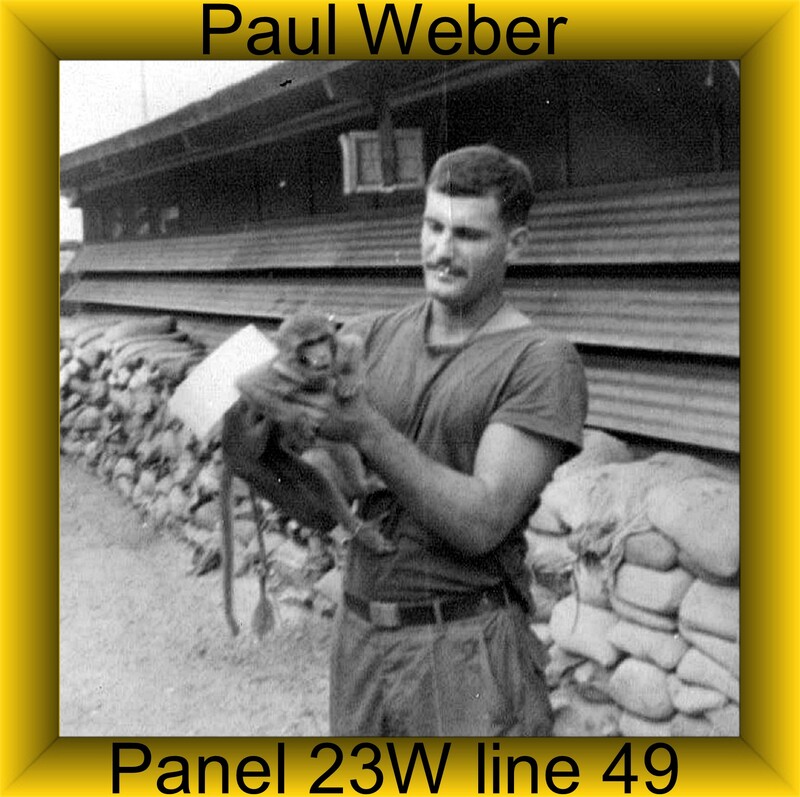 Paul was awarded the: Purple Heart, Air Medal, National Defense Service Medal, Vietnam Campaign Medal, Vietnam Service Medal and a set of Crew member Wings..
Paul was Born in Poland and was adopted from an orphanage in 1950. Paul’s younger brother, John, said when they were young a bully told John that he was going to beat him up. Paul went to the bully and told him to meet him , Paul, Saturday morning. The bully did and Paul beat him up. Not only did the bully never bother John again he never bother anyone again. 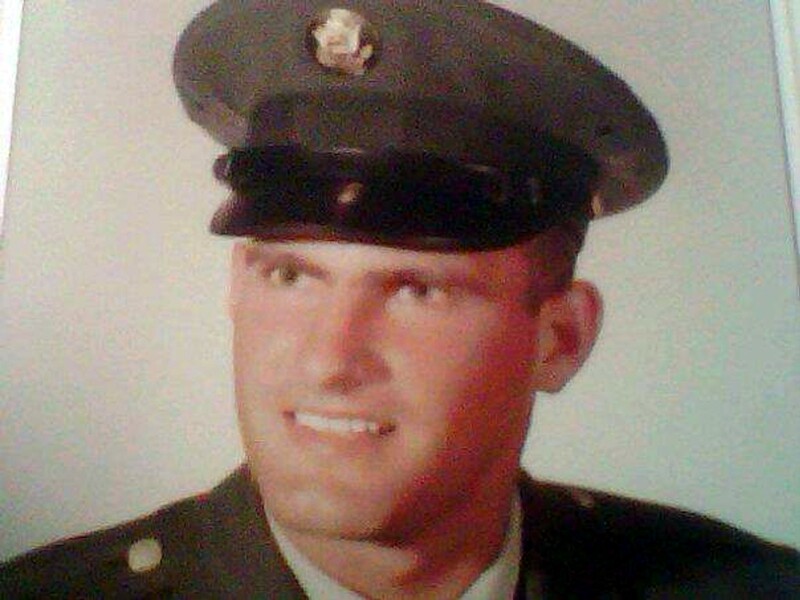 On the 5th of May 2013 I received the following comment on Paul’s Post: I am SGT(posthumously) Paul F. Weber’s Niece US.ARMY RET Leslie Jones(Weber) Johns Daughter, My Uncle Paul was Killed before I knew him. This man and His Brother,my Father John Weber were the reason I joined the US.ARMY in 1999. I have some picture’s from when I went to the memorial to see his name I traveled to Dc in the winter of 2006 December to be exact and I found his name on the wall.. My Then Fiancé at the time a SGT. B.Baker(KIA)OIF etched his name from the wall and made a shadow box of it , I recently gave my father my flight wings to replace my Uncle’s. I have some pictures you might like. Paul was my brother anf assigned as a door gunner/observer of oh06. I have emailed Paul’s brother asking him for pictures and some imformation about Paul as he was growing up. I must tell you that he had sent me an email before about Paul being an OH-6 Door gunner. I never heard back from him but maybe this time he will email back. I told him it was for you. It is 10:40PM and I am tired. 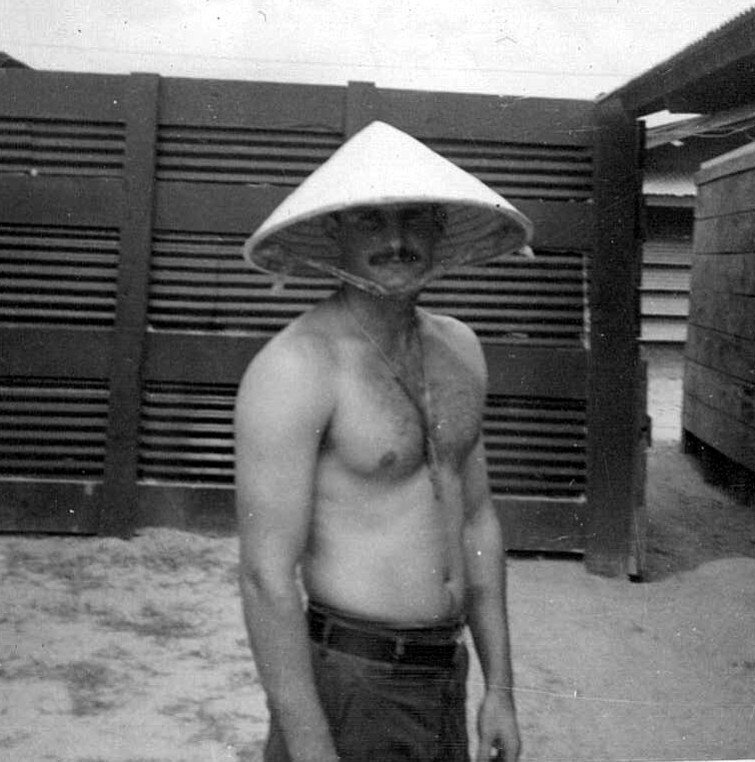 I will write you more tomorrow as far as what Paul did in Vietnam. Thank you so much Pat, sorry I was not able top get online before because its the final 2 weeks of school and I am overwhelmed, Thank you so much this means a lot to me, to my school, and to everyone who served our country. 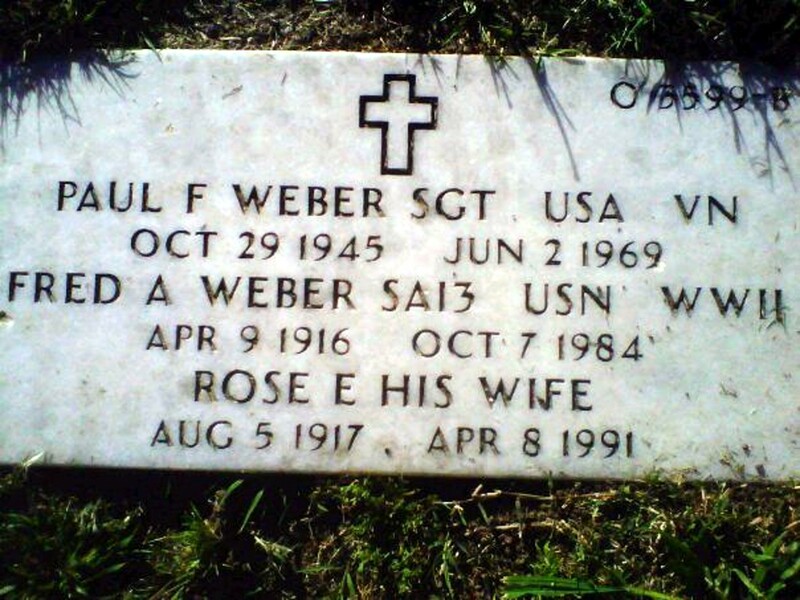 I am SGT(posthumously) Paul F. Weber’s Niece US.ARMY RET Leslie Jones(Weber) Johns Daughter, My Uncle Paul was Killed before I knew him. This man and His Brother,my Father John Weber were the reason I joined the US.ARMY in 1999. I have some picture’s from when I went to the memorial to see his name I traveled to Dc in the winter of 2006 December to be exact and I found his name on the wall.. My Then Fiancé at the time a SGT. B.Baker(KIA)OIF etched his name from the wall and made a shadow box of it , I recently gave my father my flight wings to replace my Uncle’s. I have some pictures you might like. Leslie, First let me say Thank you for your service. I am sorry that you did not get to know your uncle. I knew him but since we were in two different sections I did not know him as well as I now wish I had. I am sorry to hear about your Fiance, Sgt Baker. I would love to have any picture that you would like to share with me and the world. This would include a picture of the Shadow box. Would you please include a picture of you and your dad? I have talked to your dad. He was the one who sent me the pictures I have posted. Please tell him hi for me. Leslie, I am glad to hear that you are happily married. I am looking forward to the pictures. Don’t forget to add one of you and your dad. I put your email address into my address book. My email is pcbnamin@verizon,net. If you happen to have a picture of your grandparents that would be nice also. I am going to put all of the pics on the post. I just got done with a little work. I have downloaded some of the [pictures and I will insert them into the post tonight. What is your husband’s and son’s names? Thomas is my husbands name and Lane Michael Hunter … Thank you for posting those pictures … I wish I had more I am sure my dad has some more somewhere of him and uncle Paul as children or teenagers some. My mom is looking for the one’s of My Grandparents. Hello, My name is Robert Bryant. 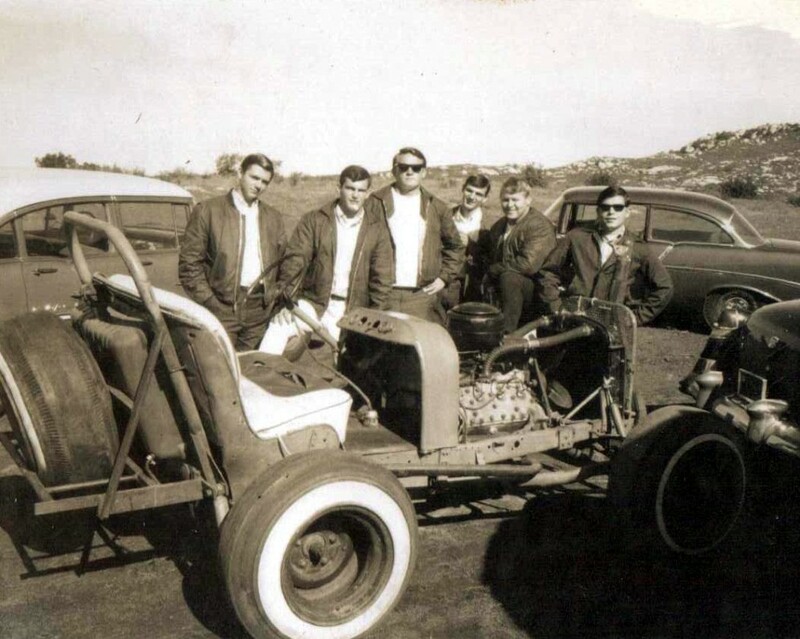 I knew Paul as a teenager. I knew his two brothers too. I went to the beach, surfed and partied with Paul in our high school years. He was a very kind, friendly person and I really liked him. 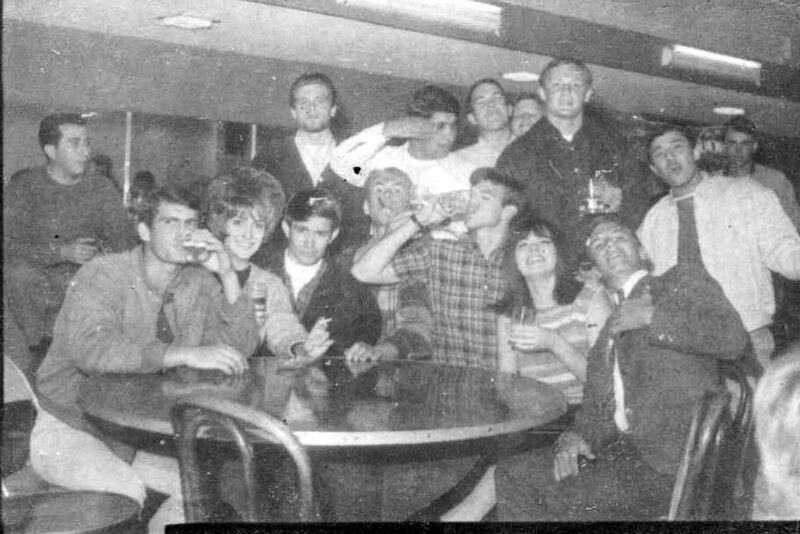 I was in the Navy from 1966-1968 off Vietnam serving as a plane captain aboard aircraft carriers. My detachment was a Cubi Pt,Philippine Island. When I got out and home in 1968, I felt lost and confused and became a hippy. Later when I heard that Paul was killed in Vietnam, I was hurt and greatly saddened. I lost touch with John. Thank you for this sincere comment. Paul was lucky to have a friend like you. Thank you Patrick. Did you know Paul? Did you serve with him. If so, I’d love to hear any experiences you shared. 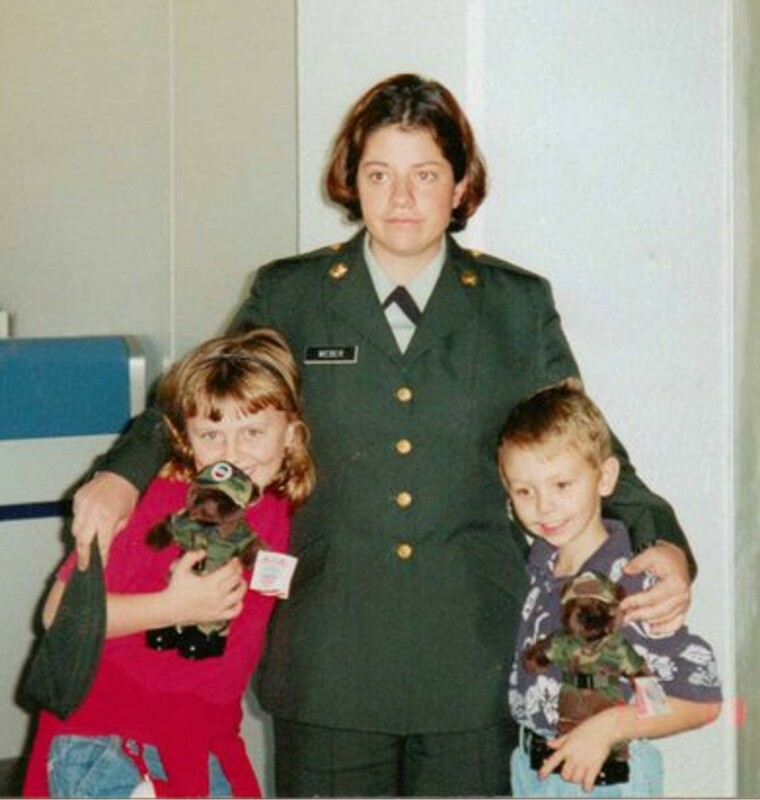 When did you serve in the Army? Wishing you all the very best.